Read more: The New York Times “Front Burner” by Florence Fabricant! 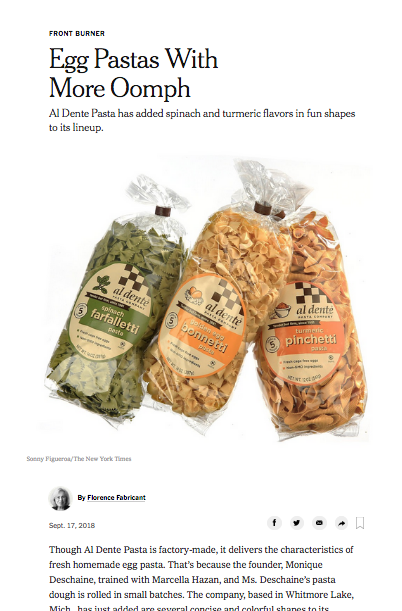 Since 1981, Al Dente Pasta has become famous for its fresh taste and 3 minute cooking time! Copyrights © 2017 Al Dente Pasta Company. All rights reserved.